What’s the fastest, most legit way to scale your business? It’s not spending more on advertising or paying insane amounts of money to be featured in publications that bring you next to nothing in return. It’s also not posting 5 times per day across 8 platforms until you start seeing all the constellations featuring the Orion when looking at your screen. It’s spending time with the right people. 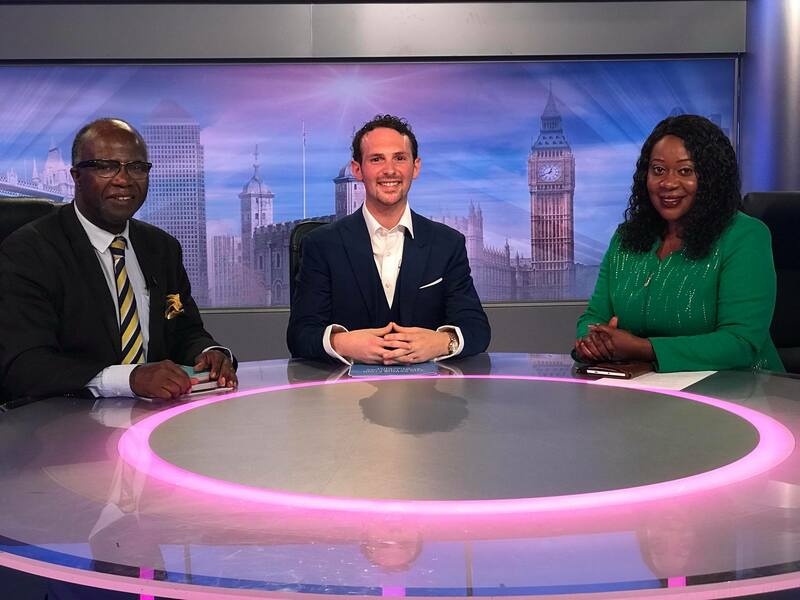 When you surround yourself with other high-level individuals, it almost seems like you’re driving a Tesla Model S vs. a beat up old Seat Ibiza on your road to success. One real-life experience can change your business – and your life. One event can accelerate you from 0 to 60mph in only a few days. Have you ever felt like you’re on the verge of leveling up? Like you’re on to something big, but you don’t quite know how to cross that bridge to the other side? It’s almost like you’re sailing on a raft that falls apart right before you manage to get out and feel the land beneath your feet. We both spent a lot of time feeling exactly like this – with 0 clue what to do about it. When we were struggling like this in each of our businesses, it was killing us that we were so close to everything we ever wanted. We thought there was something wrong with us. It’s not easy seeing everyone else be where you should be as well. Do you sometimes envy those people even though you’d never show it? Have you ever wondered what would change if you had all the right people around you? 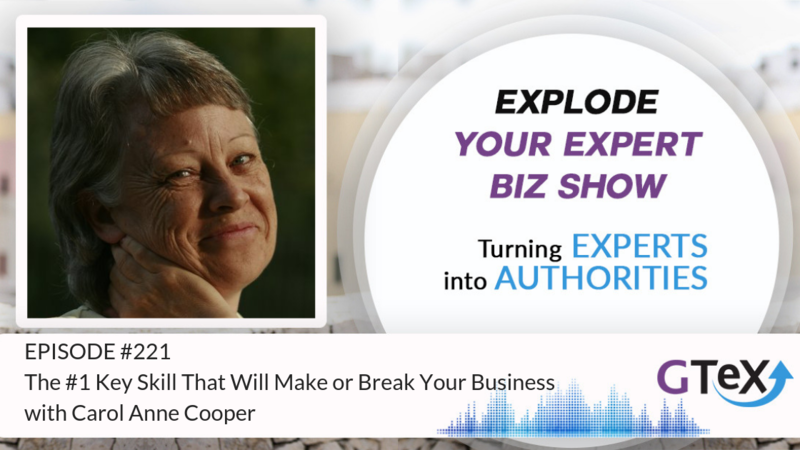 Have you ever dreamed about building a powerful brand that sells on your behalf? 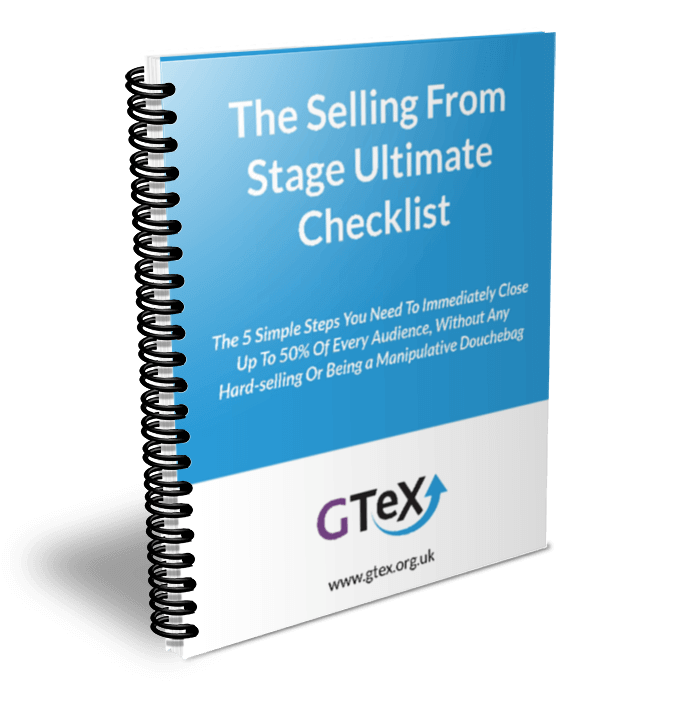 About selling out your products and services without working 24/7? How much time would this save you? How would it feel to have a presence that immediately turns people from followers to loyal brand ambassadors? Do you have the guts to build a business so profitable, you can outsource every single thing you don’t like doing? Most people think they do – but they really don’t. That’s okay – we don’t work with those people. We work with those hungry for more. Those ready to say “SCREW YOU!” to a mediocre life and business. Those eager to make more money than their entire family ever has and then use it to do good. Those who have a higher purpose that ignites a fire in them that can burn down a whole state. Desislava Dobreva “The Branding Queen” & Simone Vincenzi “The Italian Stallion” Combined, we’ve racked in millions of dollars in revenue and helped our clients make so much money, they hit tax brackets they never imagined they would. Desislava, aka @desdobreva is an award-winning Brand Strategist, TEDx speaker, Entrepreneur Magazine contributor and a social media influencer with an audience of over 100,000 people. She helps businesses build and scale brands that are powerful, profitable and popular with her unique methodologies and techniques. Desislava is recognized for her unconventional approach to branding because she dives deep into the psychology and neuroscience behind building a successful business and holds monthly trainings on the topic. Simone, aka The Experts Strategist, is the co-founder of GTeX, Forbes, Entrepreneur Magazine and Huffington Post contributor, TEDx speaker, Host of the podcast Explode Your Expert Business and author of 3 life-changing books. 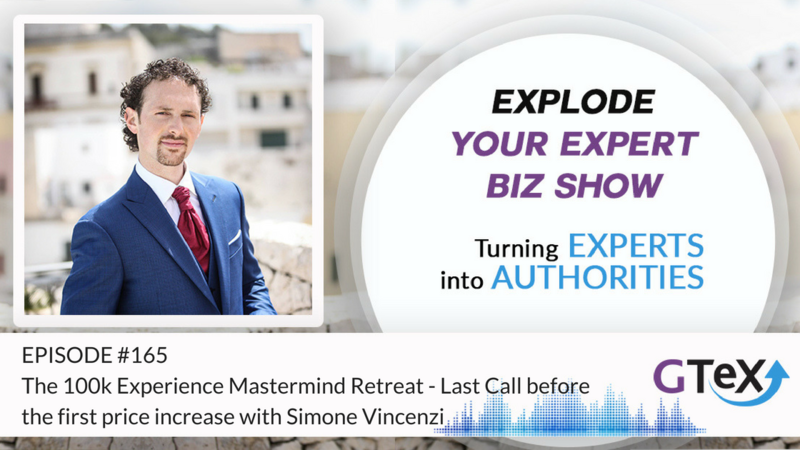 Simone is passionate about turning experts into authorities using his signature EXPLODE YOUR EXPERT BIZ programs. Every year he speaks in front of more than 5,000 business leaders, which included sharing the stage with Les Brown, Dr John DeMartini, Simone Sinek, John C. Maxwell and many more. He has also organized over 600 events, including Gary Vee speaking from York Hall boxing ring, and he is currently speaking in more than 200 stages every year. We’re the people who get called up when someone is suddenly feeling the hunger to leave a real legacy in the world. We’ve been published in Forbes, Entrepreneur Magazine, Thrive Global, The Huffington Post, Shift magazine and have spoken on massive stages around the world. Back when each of us was still in the trenches, we struggled in similar ways. Desislava was eating oatmeal 3 times a day, not being able to afford real food, and Simone was basically homeless. It oftentimes felt like our ideas would never become reality. Once our businesses took off, right when we thought it would all magically get better, things, yet again, took another turn. Lacking then necessary insight into building a brand that matters – and sells – was proving to be an insurmountable challenge. Having no proper sales systems in your business essentially means you have no business. You have to constantly be present. You’re a salesperson, brand ambassador, and content creator all at once – and that ain’t good. Unfortunately, that’s what most people calling themselves business owners do. We’re almost ashamed to admit that we did it too. We’re no different from you. Both of us have been to and organized hundreds of events. We’ve fostered life-changing experiences for entrepreneurs who went on to do great things and live great lives. Thanks to our work, we now have a proven way to make your business work for you. To get you from doing “fine” to receiving raised eyebrows and unbelieving eyes when you tell people how fast things happened. An intimate, high-end 30-day experience beginning with a 5-day retreat in Ko Samui, Thailand. DATES: 12-19 of January 2019. 5 days in heaven spent with people ready to level up just as much as you are. Then, 30 days of support in a private Facebook group, with mastermind calls where we’ll support you with the goals you set in Thailand. This experience is unlike anything you’ve been through ever before. What you’ll learn from us will save you years and help you drive up any proverbial hill with your windows down, giving the finger to anyone who dares stand in your way. The 100k mastermind is composed of two parts. 30 days of support by Des and Simone in a private Facebook group including mastermind calls where you can ask anything you need help, advice or feedback on. We’re going to give you some of our private resources only our inner circle has access to. Grab a space at the 100k Mastermind today and they’re all yours. – Access to Des Dobreva’s popular masterclass “Storytelling revolution” where you’ll learn storytelling in ways you never thought possible. This will take your content to another level and make you recognized as a top professional in your industry. – Access to Des Dobreva’s Instagram course “Zero to Badass” which you can go through yourself or share with your VA to ensure you have a profitable presence on the platform. – Access to Simone Vincenzi’s “Selling with webinars” course that will get you from confused to making big money with webinars. – Access to Simone Vincenzi’s “Selling from the stage” course where you’ll learn the secret tactics he uses to make over $100 000 from a single event. 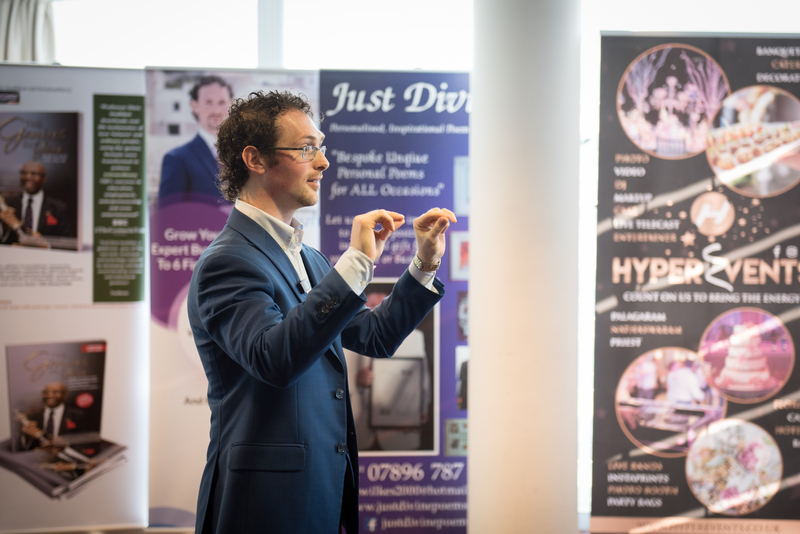 – Access to Simone Vincenzi’s “Your road to business success” course that will enable you to look at your business with a fresh pair of eyes and identify the gaps that need to be filled. 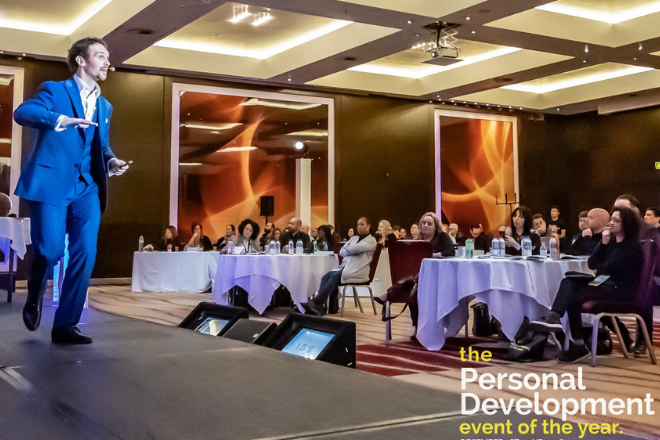 – The full recordings of Desislava and Simone’s 2-day London mastermind “Social media revolution” where we dove deep into the psychology behind building a powerful social media presence. Our friends’ reaction when they saw all the bonuses you’re going to get for signing up to be part of the 100k Mastermind? No joke, the worth of the bonuses alone is over $3000. You’d think we’re charging at least $20,000 for this experience. The truth is, though, that you aren’t going to pay even close to $20 000. You won’t even have to pay half of that – $10 000. – $1000 if you’d like to share a room with another attendee (don’t worry, you won’t have to share a bed. It’s not that kind of event). I know, it’s pretty insane. You won’t pay straight away. You’ll get on a quick messenger chat, followed by a call with us first so that we can figure out if this experience is the right fit for you. We’re not interested in working with people we can’t help. You’ll be taken to Facebook Messenger and answer a few questions that we need to know to see if you qualify for the retreat. Then, if you are accepted, you’ll be able to book a date and a time for a call with one of us. During the call, we’ll figure out if this will work for you or not. If we decide you will massively benefit, we’ll give you a link to a page where you will pay your $2500 deposit or the full price. Then, it’s rock ‘n’ roll and we’ll see you in January! Are you ready to scale your business like a boss? Ready for that Model S?